The process of natural selection and survival of the fittest lies at the surface of the great molecular chronicle of gene therapy. This investigation argues the approach will play a great use in near future- as long as attention is paid to the very spirit of its conceptualisation. A Special Pi Investigation into the Biochemical Mechanisms involved in Origins and the Evolution of Life - centred on the role of Gene Shuffling. Is gene therapy - or gene shuffling as we might alternatively call it - a product of human genius or a traditional method employed by evolution for last 3.2 billion years in order to give rise to all forms of life that the planet earth has seen? Indisputably, this is a very important question which has escaped attention from theoretical biologists for almost four decades (since gene therapy was conceptualised) and there seems to be almost no literature available on it. Instead, there is a general tendency to think that gene therapy is a very recent phenomenon innovated by human mind to achieve desired functioning of a gene and consequently an organism. That notion is correct in its own right but when you look at it with a little scrutiny, you have to be drawn to the conclusion that gene therapy has been the modus operandi of the process of evolution for billions of years and it is the process of gene therapy (or gene manipulation for that matter) that has brought about the variety and complexity of life that we witness today. This philosophical investigation will oppose the self-evident notion that the best survives (which begs the question of what the 'best' means) by emphasising that it is the shuffling, the complexity, of gene manipulations that is the real engine of evolution. 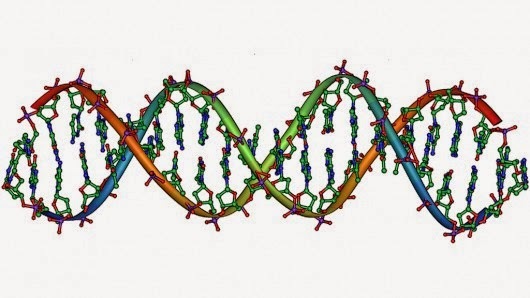 Gene therapy lies at the crux of evolutionary mechanisms and how the manipulation of DNA (the genetic material, DNA, or deoxyribonucleic acid, and I find it is the hereditary material in humans and almost all other organisms) has helped gene therapy to achieve the target of producing millions of different species of plants and animals. But before discussing this further, it is imperative to define the terms first so that it becomes easy to understand the arguments put forth in this investigation. Here is how we go, starting with what I call the Central Dogma of Molecular Biology. First, the most important thing to explain is that, broadly speaking (there are exceptions), DNA makes up the genetic material. DNA synthesis from DNA (to be passed on to progeny) is called Replication. RNA synthesis from DNA is called Transcription and protein synthesis from RNA is called Translation. This is all that we need to bear in mind in order to make sense of what we are about to discuss. To perform any function, the ultimate goal of a cell is to produce a protein which will bring about the requisite purpose. Proteins are like workhorses of the cells while DNA and RNA molecules are just information carrying molecules. DNA carries information across generations while RNA carries information from DNA to the protein synthesis machinery of cells. Proteins are the part of structures of cells, they are enzymes, they play role in most biochemical transformations, they are signalling molecules, they carry signals to various parts of the cells as well as various cells of the body of a multicellular organism (multicellular simply means an organism comprised of more than one cell). Proteins also manipulate DNA to produce its copies to bring about that process called Replication. They also regulate which part of the DNA (i.e. which gene) is to be expressed in a particular cell type by forming euchromatic and heterochromatic regions. Proteins also help cells to react to various environmental conditions by carrying information to the DNA and then leading to synthesis of relevant proteins to bring about the pertinent function. The expression of genes (simply understood as stretches of DNA) is also regulated by proteins (as transcription factors etc.). So, in simple terms, life can be understood as the chemical hodgepodge, pot-pourri and conglomeration of these three types of molecules (viz. DNA, RNA and Proteins), one managing the synthesis and function of the other. This intricate fabric of interconnected and interdependent saga of chemical processes (brought about by these three types of molecules) is essentially life. All cells and multicellular organisms (no exceptions) are the extreme expression of the biochemical transformations brought about by these three important molecule types. The earliest living organisms were single celled and did not contain any internal organelles. (An organelle is a minuscule organ inside certain cells called Eukaryotic cells). The DNA of such organisms (recall that life is believed to have started with RNA as the first genetic material) is not bound by histones (proteins that bind to DNA and help in its packing inside the cell and its regulation). So we understand that the earliest living forms were simple and capable of a limited number of functions. Assuming that their genetic material was RNA, DNA gradually took over owing to its greater stability. (Even today, RNA serves as genetic material in certain viruses, but otherwise all living cells have DNA as genetic material). DNA contains genes and genes contain bits of information. These collections of all the genes (the DNA) decide every aspect (structure, function, behavior, lifespan, shape etc.) of a cell. So everything a cell does is in fact an omnibus of the dictums of its genes embedded in the DNA molecule. You may be wondering how this fits into the definitions of gene therapy. But we were, till now, just discussing the background of the concept of gene therapy and now it is easy to understand gene therapy by definition itself. If any cell has any kind of defect in its gene (or more than one gene), the function related to that gene will be hampered which, as a consequence, will jeopardise the life of the cell. This is what happens in many diseases like phenylketonuria, cystic fibrosis et cetera. In these diseases one of the genes is defective which disturbs the whole cascade of cellular functions and precipitates conditions of metabolic stress inside the cells; thereby generating many metabolic defects (and even death in certain lethal gene defects). If, however, we have a method by which we could transfer a correct copy of the gene to the DNA of the cells (in place of the defective gene), we will overcome the problem of the lack of function due to defect in the gene in question. This technological method is called gene therapy. So gene therapy can be thought of as a therapeutic use of genetic molecules (genes and RNAs) in order to set right and /or fine-tune the functioning of a living cell. We could, alternatively, define gene therapy as “the therapeutic use of DNA as a pharmaceutical agent”. This can be brought about by a variety of methods like use of viruses, plasmids etc. but I don’t intend to go into the details here because our focus in this investigation is different. Historically speaking, it was in a classic paper by Freidmann and Roblin titled 'Gene Therapy for Human Genetic Disease?' published in Science in 1972 that this technique was conceptualised. But it was not until 1990 that a Food and Drug Administration's approved trial was carried out for a disease called ADA-SCID. As of now, almost 1700 clinical trials of gene therapy have been conducted worldwide using various methods of gene transfer (e.g. adenoviruses, lentiviruses, herpes simplex virus, vaccinia, pox virus, injection of naked DNA, electroporation, sonoporation, magnetofection, lipoplexes, nanoparticles, gene guns etc.). Gene therapy has also been a great topic for science fiction writers and Hollywood including the TV series 'Dark Angel', the video game 'Metal Gear Solid', the James Bond Movie, Die Another Day, a fiction book titled Next, and so on. The technique has seen considerable success in last two decades with alternating period of ups and downs. But recently the world has once again seen a great hope in this therapeutic domain of technological advancement of human species. As far as the current literature is reviewed, gene therapy is viewed as a purely human development (artificial in its essence) which has nothing to do with natural processes. Gene therapy has always been thought of technological exploitation of some properties of genes and gene vectors without realising that it might have a much deeper connection with life and its evolution and maintenance. No scientist (so far as the current status of the available literature is concerned) views gene therapy as a process that was going on in nature for billions of years. Gene therapy is rather thought of a very recent concept restricted to last four decades involving a few human technological interventions to manipulate DNA. It is important to understand that this is not the case. Gene therapy is the means nature has been exercising since the inception of life for development and evolution of life. If a little thought is applied on the biochemical mechanism of evolution, one easily understands that evolution is a process of piecemeal improvement and modulation of genes of an organism. This process initially took place through gene transfer and then gene modification (via mutations and polymorphisms). Development of complex forms of life from simpler ones is just an outcome of the process of natural gene therapy. Though it may not be viewed as therapy per se, but improvement of gene function in order to cope up with environmental challenges is also a therapy and that is what evolution has been doing for billions of years. The hallmark of evolution is to lead to the formation of organisms better suited to the environments they live in. Development of carnivorous set of teeth in flesh eating animals, flat teeth in herbivores, development of wings in birds, cellulose digesting enzymes in grass eating animals, taste buds on the tongue, most sense organs on the heads and modes of excretion are all decided and developed by the process of evolution. How does evolution do all that? This is also a very important question and we need to address it in detail. First, recall that initial discussion about the function of three basic molecules of life (DNA, RNA and proteins) where it is explained that almost all cellular processes are carried out by proteins which are directed and dictated ultimately by DNA. So if any process is to be enhanced, improved, modulated, upregulated, downregulated and so on, all that is needed is to alter the genes in DNA. This can be done at protein level but then proteins are not transmitted to the progeny. It is very much sensible to introduce changes in DNA in order to make the change in function (or any other aspect of the cell) to manifest in coming progenies. This is simply what evolution does. Evolution works by altering the DNA sequences (i.e. genes) in order to modulate and improve certain functions of an organism (both unicellular as well as multicellular). Scientists have been using various methods of changing DNA sequences (like we have already mentioned above) in order to bring about the desired function in the organism and they have learnt to introduce genes in the DNA that replace the malfunctioning genes of the organism. This is what gene therapy is and that is what evolution also does (more or less). A PubMed search of the word 'gene therapy' (PubMed is the largest database of references and abstracts on life sciences and biomedical topics) returned 139950 entries on 9th August, 2012. In spite of so much of a literature available, the connections of gene therapy with natural process of evolution has not been explored. There are certain reports which discuss gene therapy and the process of evolution but they don’t tend to see the similarities in the two processes. These reports rather consider the effects of conventional gene therapy (a scientific development) on the process of evolution thereby completely ignoring the fact that conventional gene therapy (kind of a process) could well be a part of evolutionary mechanism used by nature to produce the splendour of life. Let us now come out of the complexities of these terms of molecular biology. Let us put it in very simple words. Evolution is gene modification in order to improve function (a natural process) and gene therapy is gene modification in order to improve function (a scientific method). From this we arrive at a very gay but strong conclusion that gene therapy, though a recently conceptualised technique is a very important concept exploited by nature in order to play evolution for no less than 3.2 billion years and exploited by scientists in order to treat diseases. At this point, it is necessary to justify the above hypothesis of this investigation by examples. We will be considering a few biological processes ranging from the origins of multicellularity, development of complex forms of life, development of cellular organelles to cellular processes like reproduction and recombination. Origin of life itself was (presumably) a process of gene therapy (this may or may not be true, it is just a presumption). Theoretically speaking, primitive cells are minuscule bags of chemicals containing DNA to manipulate these chemicals. So if a bag of such chemicals (we now refer to as cytoplasm/protoplasm) is being subjected to a process of gene therapy (i.e. supplied with a full stretch DNA molecule), in principle, it makes the bag of chemical alive and this bag of chemicals starts behaving as a full-fledged living cell. So a simple process of gene therapy may presumably have brought life into existence at the first place. It should be noted that this concept is not as non-practical as it seems to be. 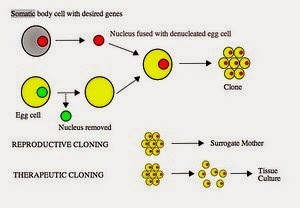 A recent technique of Somatic Cell Nuclear Transfer (SCNT) exploits this phenomenon (more or less) to create stem cells or to bring fossil DNA molecules to life. SCNT is the technique that was used to create the world’s most famous animal (Dolly the sheep). This discussion gives impetus to the idea that creation of life by putting DNA (or RNA) into a small chemical bag could very well have lead to the formation of primitive forms of life and then the whole process of evolution would have been the improvement and alteration of this DNA molecule inside this chemical bag (we think of a primitive cell) thereafter. Now that the concept of gene therapy has helped us to hypothesise how life presumably could have originated by gene therapy, we will now see how evolution brought about its great orchestra of life using this beautiful process. The development of eukaryotic cells (that is cells with internal organelles, nucleus bound in membrane etc.) emerged long back in evolution at about 1.6 to 2.7 billion years ago. Before that cells were relatively simple. Eukaryotic cells are thought to have evolved from simpler forms (Prokaryotic cells). Eukaryotic cells have their own small organs (organelles) to perform various functions. One of the very imperative organelles is the energy providing Mitochondrion (plural mitochondria). Mitochondria evolved by a process called endosymbiosis. In this process (it is thought) one cell ate (engulfed) a prokaryotic cell; but instead of digesting it, used it as a servant inside its body. It was good for the servant cell also because the servant got readily available food and shelter and provided energy supplies to its master. So the relation turned to be a symbiotic relation rather than a strict Master-servant relation. With the passage of time this servant cell lost some of its functions (efficiently carried by the Master cell for itself and the servant) and vice versa. Utilisation of oxygen (oxidative phosphorylation) was then the duty of the servant celluloid (the cell like creature created out of the servant cell with the passage of time). With the passage of time, this servant cell retained genes necessary for its replication and oxidative phosphorylation, which turned off in the master cell. There was, therefore, a symbiosis established. The servant cell became the mitochondria and the master cell a more complex eukaryotic cell. This process describing the emergence and evolution of mitochondria is also a typical gene therapy process. The small cell that was engulfed can be thought of a vector with certain genes capable of doing some specialized functions (oxidative phosphorylation in this case). It was just that this gene transfer enhanced the oxidative respiration capacity of the host cell: this is simply what can be referred to as gene therapy. It was a process of transfer of genes (via a bag of chemicals containing a DNA stretch) into a cell in order to improve its bioenergetics. If a little thought is applied in this domain, one is compelled to think that mitochondria are the outcome of the process of gene therapy. Same is the case with chloroplasts (organelles for photosynthesis created out of cynobacteria-the blue-green algae) which also emerged by the same mechanism and lead to the evolution of all the plants on earth. So gene therapy has paved way for the emergence and evolution of all animals and plants on earth and yet scientists still think of gene therapy as a scientific genius a mere four decades of age. Development of multicellularity is a very important event in evolution. More than one type of cell in an organism is particularly very useful because it makes every cell well suited to its functions (through division of labour). Sensory neurons in our body carry signals from the peripheral areas to the brain, retinal neurons carry the codes of photons to the brain, beta cells of pancreas secrete insulin, cells on the intestinal villi absorb nutrients, hepatocytes (liver cells) produce bile etc. every cell in a multicellular organism has its special functions. One cell type can do its function at a significantly amplified pace and efficiency but is not able to do many of the other functions. So there are different cells meant for different functions in a multicellular organism. All these highly specialised, improved and efficiently conceded functions are only possible in a multicellular organism if certain genes are upregulated, some downregulated and others switched off. This means that certain functions need to be improved and others need to be downregulated while a few others completely switched of depending on the cell type. Nature has methods for that. The DNA is packed in the chromosomes and the packing pattern of the DNA decides the expression of particular genes in a particular cell type (though there are other ways also). If we see, this process is also gene therapy by definition. It is the regulation, modification and modulation of the gene function. Let us now turn our attention towards reproduction. The most important process that takes place in the physiology and biochemistry of reproduction is fertilisation. In this process, the ovum (egg) waits for the sperm and the sperm swims in the genital tract, reaches the egg and then pushes the genetic material into the egg. This initiates a saga of processes of life starting from the formation a zygote followed by formation of morula, then blastula and moving through many embryonic stages to the birth of a new organism. It is worth noting that before the sperm transfers the DNA into the ovum (egg), no process of embryonic development initiates and no new organism is formed. Once the sperm transfers its DNA to the ovum; the biochemical narrative of life starts, leading to the development of a new organism. What sperm does is just the transfer of DNA into the ovum and start of all the life processes. Let us wait a little and think for ourselves. Isn’t is gene therapy of the ovum? At least in a certain sense that has lead to the embryogenesis and development of a new organism. It is mentionworth that the sperm does not transfer anything other than DNA to the ovum (not even mitochondria or cytoplasm). So the process of fertilization is just meant to transfer DNA to the ovum and from there all the processes of life start; the consequence of which is all variety of plants and animals around us. This is what evolutionary gene therapy has done for us. Moreover, the events referred to as recombination events in cellular division (meiosis) could also be described as some sort of gene therapy. The process of natural selection and survival of the fittest lies at the surface of the great molecular chronicle of gene therapy. This investigation may find a great use in near future if attention is paid to the very spirit of its conceptualisation. Gene therapy could be improved upon and the technique could find new horizons inspired from evolution (biomimicry). I believe that gene therapy has much greater potential than is currently being spoken of. I would go so far as to say that gene therapy is the hope of future medicine. But right now, scientists need already to acknowledge that it is a natural process which can and should be utilised - in a considered and controlled manner - to bring about many of those long sought dreams of therapeutic medicine. This is an edited version of an essay by Muneeb Faiq (adapted for Pi), who is ICMR Senior Research Fellow at All India Institute of Medical Sciences, New Delhi. I don't really agree with the conclusion, actually. It reminds me of Plato's praise for the arts of breeding - and Plato was quite clear about his rather dreadful notion of 'selecting the best'. So personally, I draw solace from the indications that for all the science has found out about genes, it seems that there seven eights of the iceberg remains hidden under the water. The mysteries of why some genes don't seem to act, or are switched on and off and so on. There was a discussion behind the scenes regarding the "simpler forms" of life. Even prokaryotes evidence a stunning complexity. I miss some kind of explanation, however tentative, as to how the biochemical mechanisms might work "all the way down". I would not be as optimistic about the positive potential of gene therapy. Humans seem to be characterised by an overestimation of their understanding. Gung-ho 工合 is a word that comes to mind. We are honoured to have a contribution by someone of the reputation of Muneeb Faiq. First, welcome back Muneeb, and thank you for this provocative investigation. The first thing I'd like to bring to the discussion is the issue of the 'subject' who gives the therapy. 'Gene shuffling' does not presuppose that someone is doing the shuffling, but 'gene therapy', yes. We're here faced with the question of finalism; evolution does this, the cell welcomes a foreign body as and organelle (cf mitochondria), etc, but who is doing what, and for what purpose? Let's take epigenetics, that you cover in the multicellularity section. The switching on and off of genes is made thanks to the input of the environment, driven by what is called 'evolution'. I agree that this all looks like a therapy to ensure adaptation to the environment by switching genes on or off, but mechanists (as opposed to finalists) will tell us that the set of epigenetic zippers that are put on genes occur by the mere accumulation of environmental constraints, and that it is a bad-bad anthropomorphic fallacy to say that there is anything like an overarching therapeutic action, or action for that matter. and as the link above suggests, there seems to be something close to mind, and integrative and purposeful agent. So, in this line of thinking, there is no need to go all the way down to single biochemical processes, which, accumulated in the scientist's mind, constitute 'evolution', we may as well say that there are indeed agents undergoing therapy, adaptation therapy. But one has to accept that the basic building blocks are not DNA codes of molecules but organisms, living organisms. Which is verboten, absolutely forbidden! I'd like to turn to biomimicry (instead of the nighmarish vision of gene modifications achieving a cascade of unpredicted effects). Biomimicry is "innovation inspired by nature"; how to you imagine an innovative gene therapy being inspired by nature's own? I picture things such as the neural genetic long-term changes that can be observed with environmental enrichment. A focus on disease (again and again) compromises the research on the true contribution of the environment in other sets of genes (liver, muscle, endocrine, etc. ), but just looking at what pubmed / scholar provides for ""environmental enrichment" epigenetics", which basically is about brain changes, lets us imagine the great things that could be achieved by mimicking evolution = by therapeutically changing the environment -- the environment of living organisms, not molecules contained in bags contained in bags contained in bags, that we call "animals" (the mechanist view) ;), while ensuring that the organism is made open to change, by modulating things such as methylation (the zipper-ability). This is for the speculations that your text brought to me! Examining the present Gene Therapy Successes, I find that much of what is being treated is single-gene diseases, although the majority of diseases involve several genes, to varying degrees, and the environment. I know first hand what a single-gene disease looks like, and that it can be a tragedy, and I welcome gene therapy for this type of disease. Often, these single-gene diseases survive despite of 'evolution' because of a catastrophic environmental stress in the past of the species that let mutants survive more. This is relatively specific. I'm less at ease with the rest of the diseases which are not enough understood, and can come as blessings in disguise when they are well understood -- and if my favorite type of (epi)gene therapy is used (cf above). Also, I am not quite comfortable with the treatment of those who fall victims of a disease before others (at 50 rather than 70, for instance), because one gene or a set of genes is less active than in others: perhaps being susceptible to sedentarity, pollution, overeating, malnutrition, microbes... is an annoyance and a source of pain and handicap, but hey, we know what we should doing the future, don't we? But you are necessarily much more in contact than we are to suffering because of your career in the biomedical world, and I applaud your call to examine gene therapy with openness. I'd like to invite you to write, here in comments or in a future investigation, some kind of proof of concept of your theory, an example of a common disease that could be treated with a gene therapy like the one you envision; something more common and more complex than those disease covered in the link above.